Guys - I have no clue. As far as I was aware (after meeting with Medicom and the painter in February) all items had been shipped by that point already. I’m not aware of any further sales of the original version. 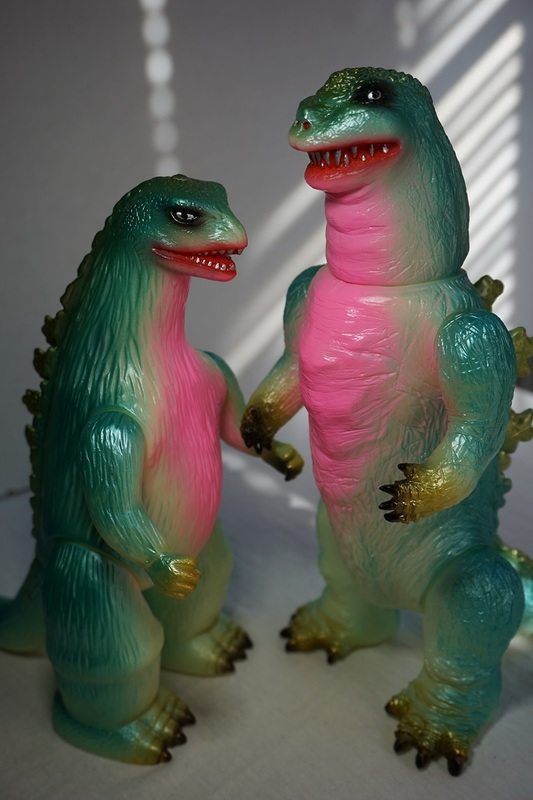 Also, the more recent Japan only ‘Hawaii’ version has also been completed and should be in Japanese customers’ hands soon, so there certainly aren’t further pieces of the first color still being made. Unfortunately, owing to a relatively small run size for the Japan only release, I won’t have a batch for AP release. I hope to at least get 1 or 2 that I can offer for a raffle sale or something. Fingers crossed. The number I have for Summer Slime is pretty meager after the blanks that go out to the Ugly Club people. 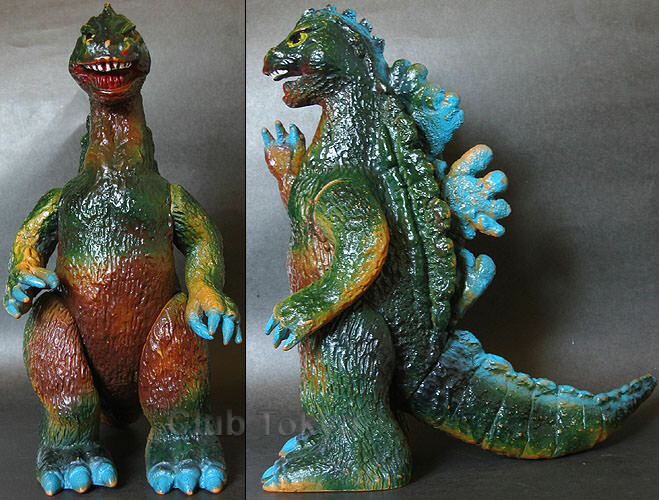 Beyond that, I have to discuss the next release with Medicom, but personally I’d like to see Goji blue for Wonfes next winter. 3wing, Headhunter, ultrakaiju and 1 other person like this. Thanks for the clarification, all. Mark, you are right, I hadn't made the connection but absolutely all of the US 'exclusive' releases I have seen were indeed from the Vinyl Wars series (M1, Butanohana, and Sofvi Life Godzillas), so given that Jon's is also part of this line, I guess that makes perfect sense. I still find it a bit off-putting the way they market them though, as well as this whole business of being listed as a pre-order; and Jon, although we are discussing this here, we fully realise all these silly distribution methods are absolutely 100% beyond your control, nor would I expect them/Medicom to even change something if you wished it. As I said, I am thrilled to see them get release elsewhere, because the Japan-only licensing on toys is so controlled (and also somewhat ridiculous, but that is neither here nor there). Hopefully not all the numbers get snapped up from EE (or oversold), as it seems highly probable this sale is for a set number of figures they have been allocated - and potentially already shipped - from Medicom. Thanks for the updates, Jon. Great to see the releases are always in the works, as - even if they are Japan-only, it does suggest more on the market to eventually work their way through the collection system, which can only be good news for us all. Very excited to see the new releases. Club members had a chance to grab one of these blank beauties. Only 10 from what I read from the email. But it was worth the purchase even for a blank. AgentRavage, JMRampage, poysntixels and 3 others like this. 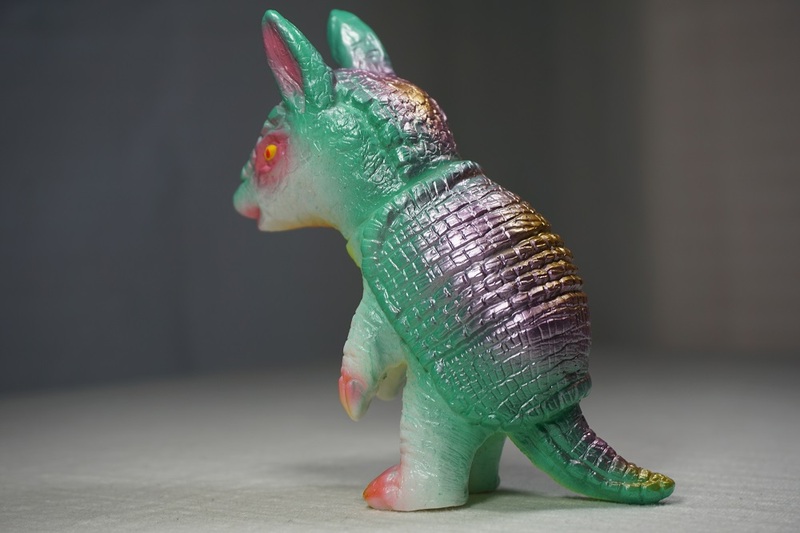 Alebrije, AgentRavage, plasticpurpose and 6 others like this. Excellent stuff, Mark - and great work, Jon, of course. Man, congratulations on managing to connect with one of those Summer Slim gojis. Whatever sacrifices I have been making, it has been to the wrong gods, because I cannot seem to connect with any of these fellas at all. Crazy nice! Hadn't seen these new ones at all. 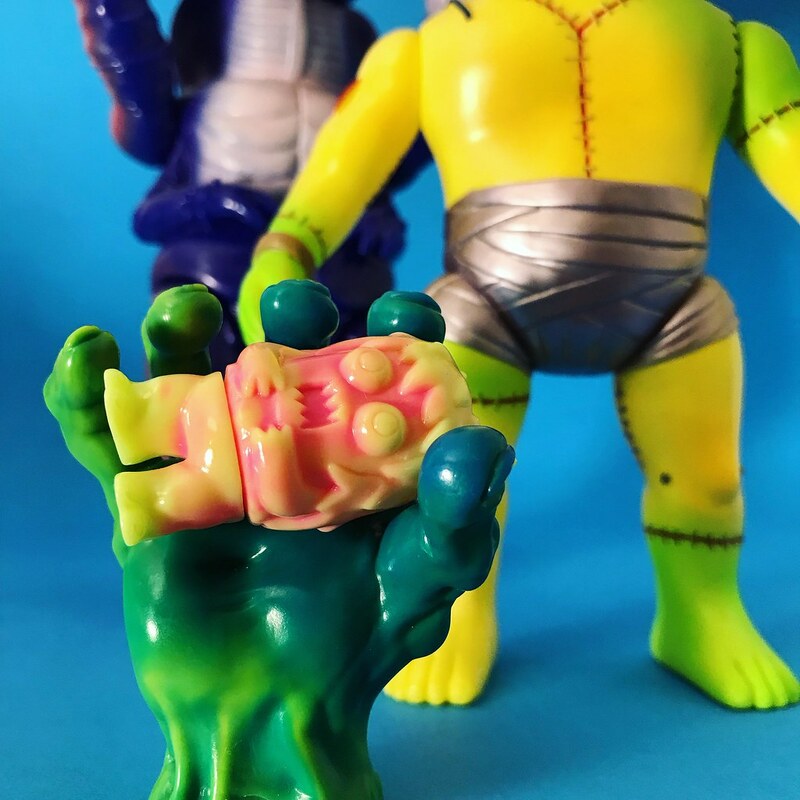 Just a heads up that the first release of the GVW Rampage Goji seems to be in-hand at The Vampire Robots (check the photos). I would assume Entertainment Earth is receiving some stock soon as well. 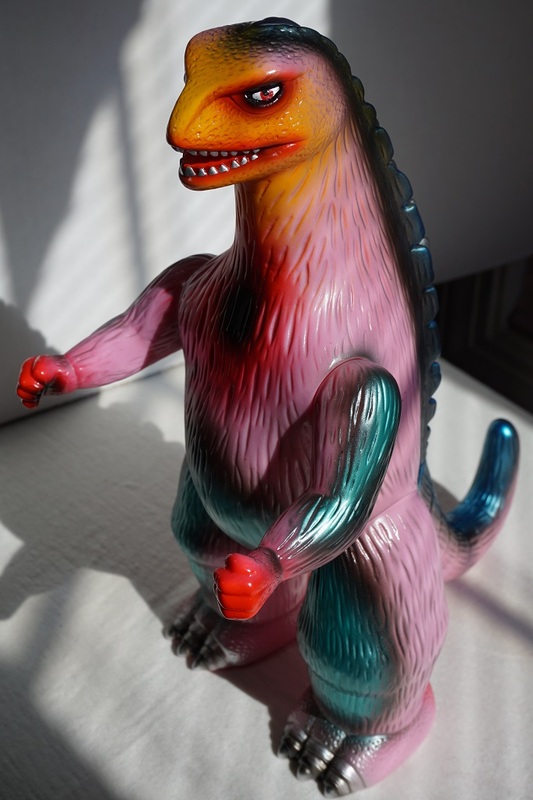 Heh, I am now imagining a cargo container of Medicom sofubi that oh-so-slowly crossed the Pacific. I would still like to hear some inside info on what kind of stock allotment Diamond is allowed to import. 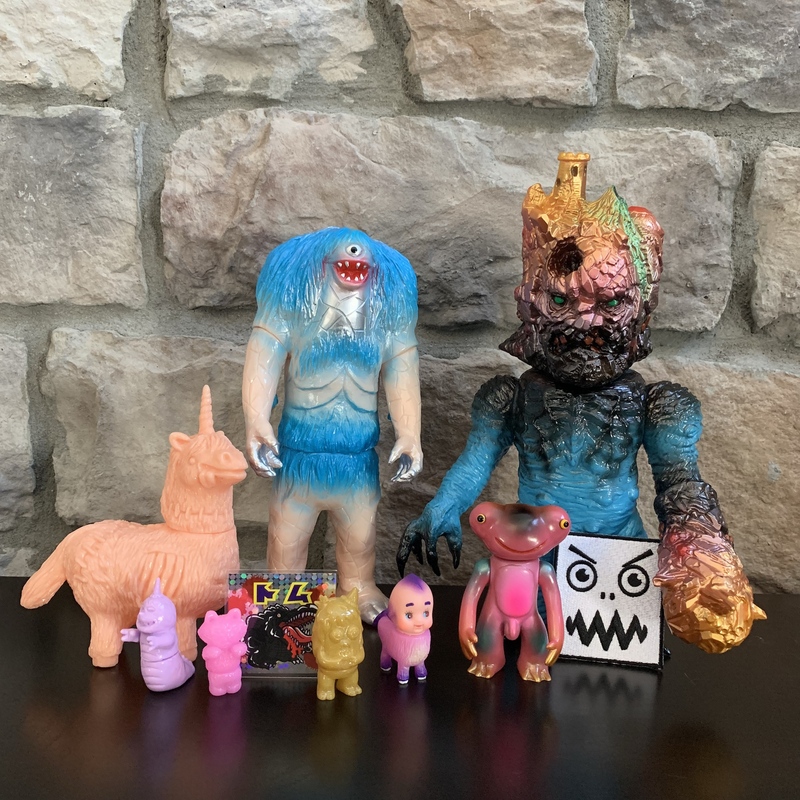 I have picked up a few GVW releases this way from various US-based retailers and comic shops. Some have mentioned numbers like "limited to 200 pieces", etc. AgentRavage and deafmetal like this. When's the open order coming for one in the Bullmark giant colorway? poysntixels and deafmetal like this. May I humbly request a pale green base, kinda sagey? I'll start setting aside a dollar a day! The painting application is rad! AgentRavage, D-.No, Spaceman Yells and 3 others like this. These are just some test shots I painted up today. deafmetal, AgentRavage, Spaceman Yells and 6 others like this. The new Gargamel sculpted Ugly Unicorn is prolly one of the most fun micros ever created. Really digging these guys. The size is perfect IMO. poysntixels, JMRampage, vinyl.zealot and 4 others like this. Very nice! I dig the combined colours on that marbling, downright ice-creamy goodness. Soooo much goodness in one bag! Thank you Jon! Spaceman Yells, super77m, JMRampage and 7 others like this. super77m, JMRampage, Brooklyn_Vinyl and 6 others like this. Kaiju and standard lucky bag. The Titan-X mashup is delightfully hideous. Nice work, Jon! 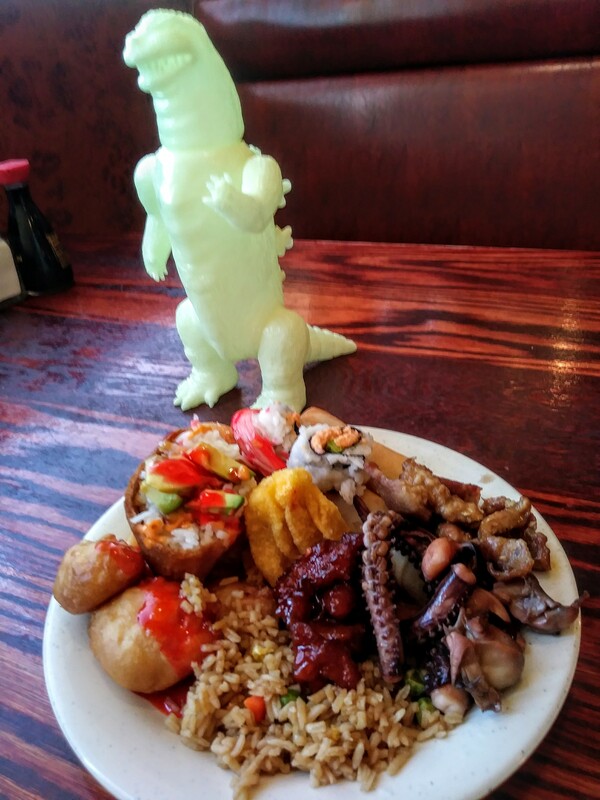 @D-.No - That is one wild goji. I found a translucent pink glitter blank of very soft and almost squishy vinyl. I am mesmerized by the paintwork on the Pigmon and the SHB armadillo(?) fella. Did I also see a SHB frill shark out there? Please post a photo if anybody received one. Very enjoyable lucky bags. Headhunter, super77m, JMRampage and 8 others like this. Wonderful pulls guys! I agree, so much fun to be had in those groupings. Consider me green with jealousy. I really love the patches and stickers too, I didn't know those also came with. Jon always puts such amazing extra bits into his packages. 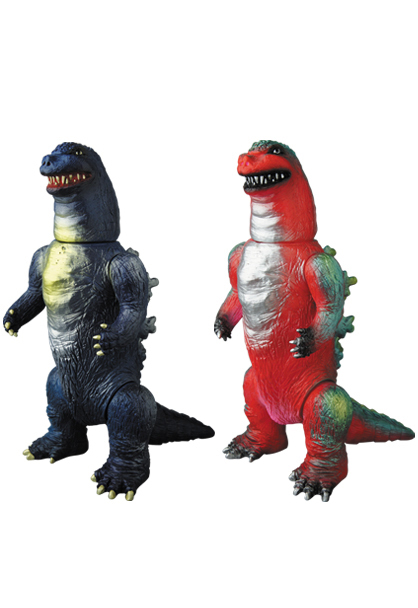 I have to agree, both that rainbow Goji and the Pygmon have such amazing paint apps. I am so happy to see the return of the pachi Jamila. One of those toys I am haunted over missing when it was first around, but unfortunately I didn't have the luck or the timing allowing me to snag this release. I wasent able to grab a lucky bag but some of them I’m seeing makes me wish I did. Those skinner x SHB mashups are nuts. But what I’d really like to know is if anyone has seen or get a Lab Mice set this year??!! Headhunter, super77m, Brooklyn_Vinyl and 2 others like this. Ohh nice. Thank you! Good to know they live on!!! I managed to grab a marbled set from last years bags (blue/pink) and really happy to see that Jon is still pulling them. Would love more lab mice!! These bags are next level. Congrats all that claimed one. 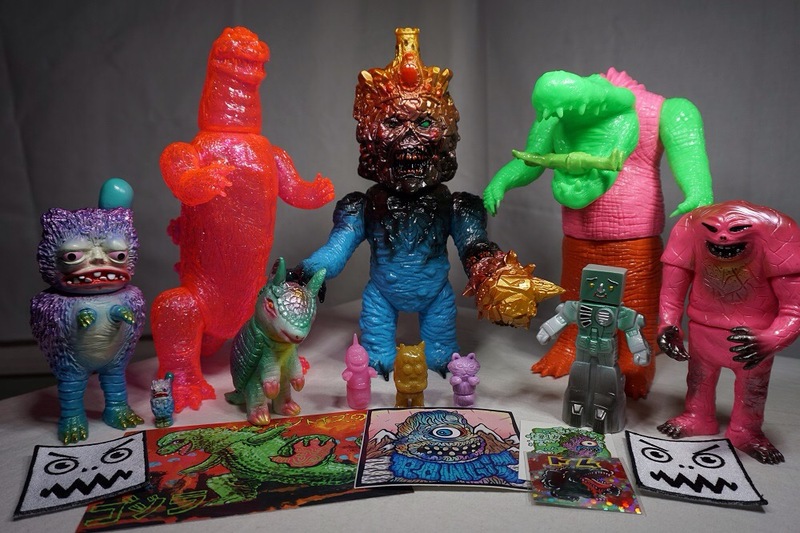 Got my kaiju lucky bag today. Love the paint job on the Pigumon and also snagged a test pull Aboras!! Super happy with my pulls. Headhunter, D-.No, HardDragon and 6 others like this. doomboy, Bob, patrickvaz and 1 other person like this. Headhunter, super77m, Spaceman Yells and 3 others like this.